Ripple’s XRP and Ethereum have been switching places on CoinMarketCap for a while. There’s been this ongoing battle for the second position, but other than that, these two projects are not rivals because they mainly have different use cases, as Ripple’s reps have said more than once. Ethereum might be winning the popularity contest because its market cap is above $17 million and XRP has a market cap of around $13 million. On the other hand, InvestInBlockchain mentions that there’s another metric used to measure the rival cryptos’ popularity that shows a different outcome: Google Trends. According to Google Trends, the number of worldwide users who are searching the term Ripple is greater compared to the ones who are searching Ethereum in 2019. Not too many people are differentiating the term Ripple from XRP and that’s probably why they search for “Ripple” when they want to learn about the coin XRP – the neverending confusion. The same online magazine addressed the “competition” between the two coins and posed the question of whether XRP can eventually surpass ETH and hop on the second position on CoinMarketCap. They write that since the beginning of this year, the interest in XRP via Google searches is double compared to the interest in ETH via Google searches. 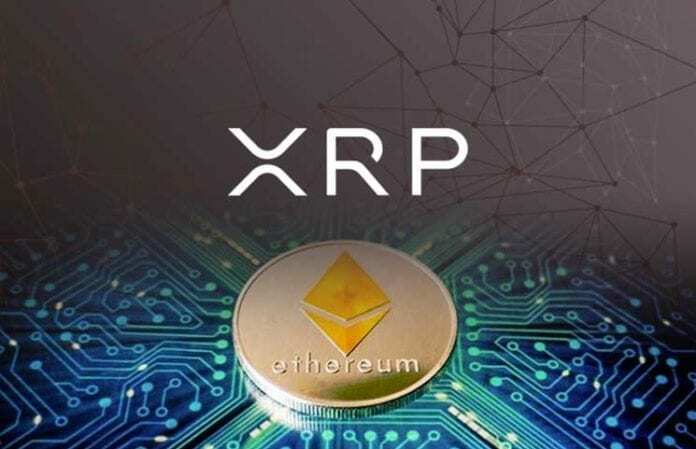 The online magazine concludes by saying that crypto prices are expected to rise again and XRP is also expected to surge in value since the coin is undervalued. It’s also worth noting, that according to statistics from Google Trends, it seems that the top 5 regions that are most interested in Ripple are in descending order: Australia, the United Kingdom, the United States, New Zealand, and Denmark, reports the same publication.